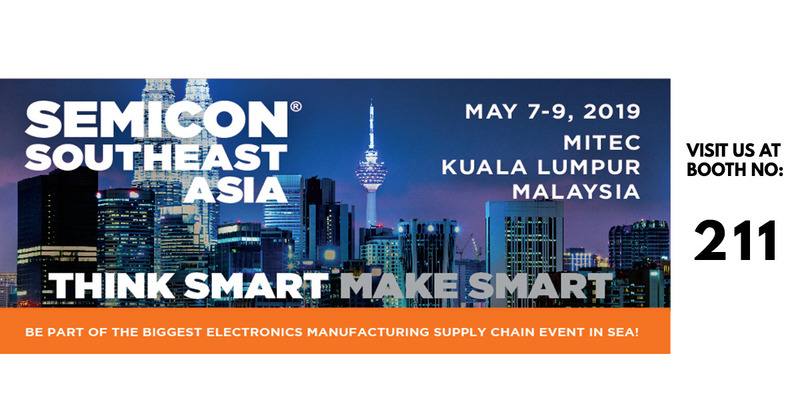 Home | News & Events | Events | Join us at Semicon Southeast Asia 2019! Join us for a discussion at our Booth 211 on how we can transform your Company into the next Smart Manufacturing hub. We will be showcasing our latest software and products for you to jump-start your Company into the era of the Internet Of Things. See you at Semicon SEA!